So in Bomber Crew, your lucky/unlucky crew must do the job of what multiple squadrons did in WWII. So this is a semi comprehensive guide on how to bomb and and recon while keeping most of your crew alive. Bets are, your original crew and Lancaster won't make it through to the end of Operation Nemesis. Or Operation Zeus, seeing how that somehow gives people trouble. Looking back, this is more of an info thingy so walkthrough tag might be stretching it. Aces are the deadliest enemy you will encounter in the skies in a duel. Aces fly upgraded planes with higher health, accuracy and consequently are the most able to down your bomber. The easiest way to down an Ace is with the help of Spitfires, but since they are typically unlocked mid game (and never get there in time), you will have to rely on your gunners, and manoeuvring your bomber out of the way of fire. The Corkscrew is the best way to avoid fire, but the manoeuvre will make your gunners miss most of the shots they take during it, so only use it while a gunner is using Focus or Defensive. Aces typically spawn after the main objective is completed, for example, if you bomb the last V-1 site in Doodlebug Blitz and theres an Ace in the area, that's when they will typically spawn. So a LONG time before you start bombing, call in spitfires to assist. If you believe you can defeat an Ace, make sure you do NOT go on or across the English Channel, as when you do, the Ace will retreat. To prevent this, either don't mark the navigation marker back to England, or use a custom marker to keep yourself in Europe. Most likely, you will come across a time when there is a ♥♥♥ of untagged planes coming, and you are approaching the bomb target. What to do mainly depends on the condition of the bomber, if your Radio Operator has Auto Tag ready, and if the mission is a Critical Mission or not. The ideal method is to use auto tag and activate your gunner abilities while dropping your bombs. 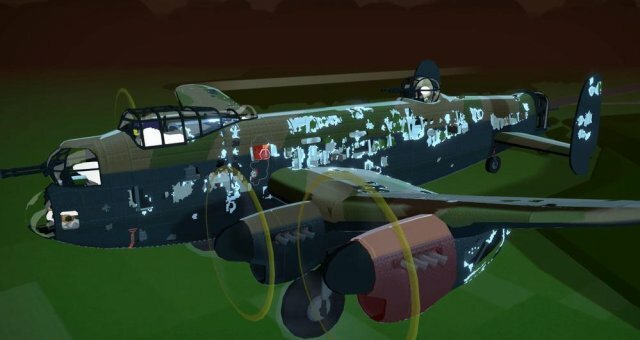 If your bomber is criticalaly damaged (Most crew below 35% health, 1+ engines on fire and/or 2+ engines missin), prioritise your safety and tag the enemy planes and bombing the target if you have time. Otherwise, redo the bombing run. Altitude determines the Navigator's visibility, temperature, oxygen levels, which fighters can spawn and I believe it also affects how many fighters spawn. The optimal altitude is Medium, where a mangable amount of fighters spawn, flak has a low chance of hitting, and no oxygen or thermal boosters needed. However, when the cloud cover is high, low alitude is required. High altitude is highly unrecommended during day, and if your crew has low thermal stats as this is when oxygen and the temperature becomes low. Personally, I use high altitude only during Grand slam bombing runs. Recon photos are taken either optionally for a bonus which increases proportianlly to how deep in the campaign you are, or taken as part of a mission such as the Landing Beaches Recon sortie. They can be taken at middle altitudes if your bombardier is high enough level and the cloud cover is low. Otherwise, they can be taken at low altitudes. If you have spare bombs in your bay, drop them before or after the photo is taken, it doesnt matter which order these steps are taken as you will get an XP bonus for the destruction of the target and the bonus for taking the photo. To take a recon photo, have your bombardier in the bomb aiming station, then click the Take Photo button on the right of the dashboard when the area to be reccce'd is anywhere in your sight. It doesn't need to be in the crosshairs to work. If your bomber is destroyed during a mission, you will get a replacement bomber with decent upgrades, albeit typically can barely suffice anything over medium risk. My personal buy order after this is an engine extinguisher mk 1, upgraded hydraulics and getting a better dorsal turret, as it gets the most visual on enemy fighters and subsequently is very important to your survival. What gets upgraded after that depends on your personal perferrences. If you lose your crew during the crash, gear them first. If you lose your bomber, try to only do low or medium risk missions, and the duration doesn't matter because leaning is a skill. If your crew bail out, they will have a chance to survive and fly out on another dangerous sortie where they can get downed again! Fun! A crewman's chance of survival is determined by the gear they have equipped and if they are near the crashed bomber, assuming that your bomber has either a dinghy or a pigeon upgrade for ditching in the sea and on land respectively. The Combined Survival Vest Mk1 is the best item for crew survivability, giving 30 points to land and sea survival. If your crew ditch in the sea, their "death" chance is 100%, and is then pitted against the crewman's sea survivability stat in an rng roll. If they roll above their survival stats, they drown and are classified M.I.A (missing in action). If they ditch in Europe, the "death" chance is increased proportionally to how far into Europe they are. For example, if your crew ditch on the coast, they can get a "death" chance of 25% while the "death" chance is 100% when you get further inland. If your crew ditch while in England, they have a guarenteed survival chance however the bomber itself is probably going to be destroyed unless it lands on the airfield or does an emergency landing. The Bail Out! pilot order causes your crew to grab a parachute and then jump out of the bomber, however this does not affect your pilot. If you believe you cannot make it back alive, climb to at least mid altitude then order your pilot to grab a parachute and click one of the parachute icons on the bomber. The Abort! pilot command makes landing on the airfield before the mission is completed available. Operation Zeus is seen as one of the most difficult missions in the game. This mission requires a lot of preparation, having high crew stats, and preferably an engineer with level 4 medic skill, as your crew will be taking a lot of hits from the fighters and the focused flak. It's a very good idea to complete missions with give you perks, preferably damage down perks as you get a lot of ♥♥♥ thrown at you. The mission entails you bombing two airfields deep inland, meaning your crew will have low survival chances during a ditch attempt. Both airfields will also periodically spawn Fw190's until destroyed, which proves somewhat annoying since they need to be tagged to be shot by your gunners. 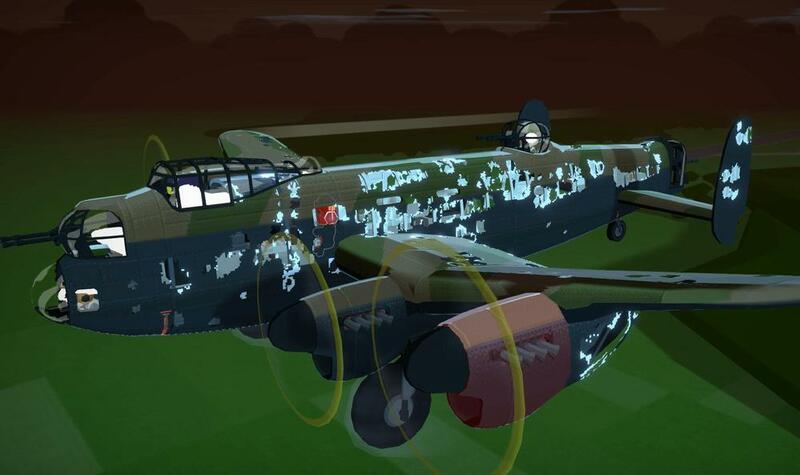 Each time you destroy an airfield, a few fighters will spawn, typically Me163's or Me262's, and harrass your bomber. During the time taken to travel to an airfield, it's a good idea to heal up your injured crew with the engineer, and save medkits for downed crew. I redid Operation Zeus as a refresher, and the engineer was an EXTREMLY useful tool, as I would've run outta medkits if he didn't have the medic secondary skill. Also half of my starboard was a hole and a quarter of my port side was a hole. Have fun returning from this mission. Gunner Ammo skills have infinite ammo - Defensive skill combo anyone?